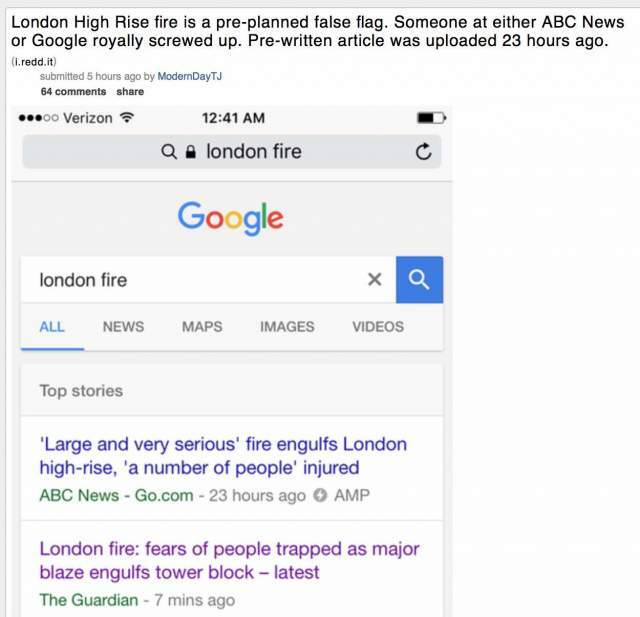 “….Tim Downie, another eyewitness, told the BBC part of the building was “completely burned away”. “It has burned through to its very CORE,” he said. “It looks very bad, very very bad. I’ve never seen anything like this. It’s just such a big fire.” “The whole building is just crumbling. It’s just billowing black smoke.”….”. 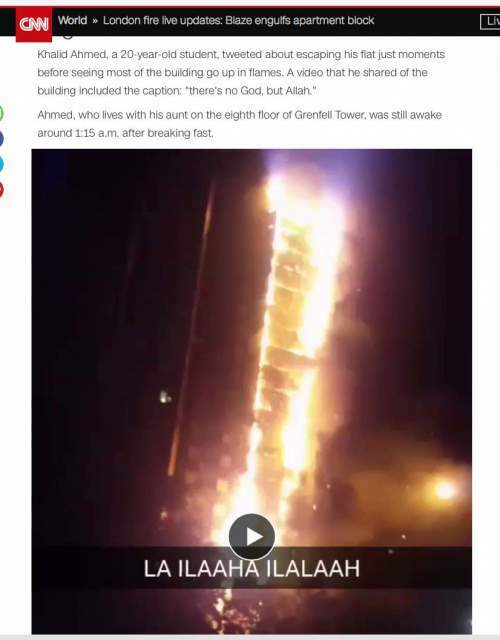 CNN apparently tries to spread subconscious association between the 9/11-reminiscent inferno and Islam – part of the Zionist-dominated MSM’s psychological war on Islam? Note that a resident said “there was no fire alarm at all.” This is one heck of a big fire to be a zero-alarm blaze. or just missiles with overlayed planes for camouflage. 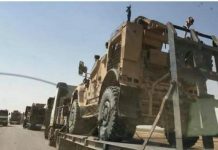 Remember the engine they faked on the street ? Remote control planes and demolitions…not too complicated. Very rare to have stairwells on the outside of this type of building as they take up valuable window space. Looking at this buildings floor plan, the two lifts and the stairwell are in the center of the building so I am not sure how the number 11 could have been preprogrammed in other than as part of the cladding. Many of the floors were configured as 4 x 4 bedroom apartments, flats to us, with not a lot of living room space. The death and injury toll to date would seem to indicate that either large numbers of residents got out or the place was only partly occupied, bear in mind when you see the numbers that there were 120 living units in it and goodness knows how many bedrooms. Perhaps much of it was Chinese owned. Good job, Dr Barrett. In addition to the 27 stories = 999, the emergency phone # over there is 999, which can be seen as a reverse 666. Another tragedy produced by the same evil minds. 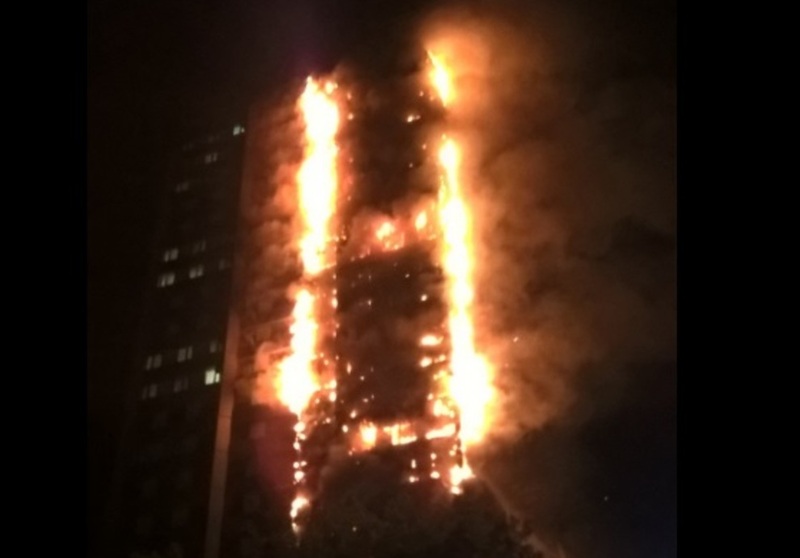 Code “3 9”, manifesting itself in all key points of the date, location, attributes of construction, and, of course, in the description: “Fire engulfs residential tower in West London” =483/39=(393+90)/39 = 11+9*(11-9)/(11-9+11); in reverse alphabet =570/39=(90+390+90)/39. And the typical BAAL-worship incineration by fire, like in Dresden 1945. We have to find out more about secret societies like Freemasonry, Order of Ormus, Order of the Garter and others to know their secret signs and to debunk all their fakes and false flags. A lot to do but Internet is still available. No sprinkler system? Everyone in the world who lives in a skyscraper should look over these images and think about what they would do if they found themselves in such a situation. Even if the structure itself won’t burn, almost everything inside will burn. Electricity will usually be cut off automatically or by fire officials so elevators won’t work. Stairwells will be jammed or filled with smoke and fire or both. Solution: Move out of cesspools like New York where rich folks like Trump have become rich building dangerous places for people to live. Jumping off a balcony might be a blessing to being burned up in the top of Trump Tower or any other of his dangerous high rise buildings. When you travel do as we do, insist on a room on the ground floor and be prepared to throw a chair through the window to escape in case of fire. You are on your own. Better to be on numero uno than numero 99. If they have no rooms on the first floor, we just keep driving. Better to sleep in the car than to sleep in upper floors of a fire trap. You can even die on the second floor of your own home especially if you have only one staircase as most homes usually have. Couple notes as a 30 yr residential/commercial maintenance person. I have never heard of a refrigerator exploding. There are many things to learn as a new person in any country such as electrical adaptation and appliance usage. I once had a tenant call the fire dept after noticing the gas water heater kicking on. He was very concerned because he had stored 10 gallons of cooking oil next to it in plastic containers. The same tenant filled the dishwasher with garbage, because they all thought it was a compactor. I was responding to a report of a malfunctioning compactor (which we did not have in that complex). It is extremely common to have inoperable smoke alarms if the tenants are responsible for batteries. Hardwire systems should be standard requirement for high rises or any multi-family dwelling. “Coatings” for masonry are all the rage in old buildings, but nobody asks how it behaves when burned. They only contain spalling, and the primary function is aesthetics, or if applied on floors, add non-slip function. Respiratory protection is necessary while applying them, can’t imagine the smell if burning. It would be toxic. 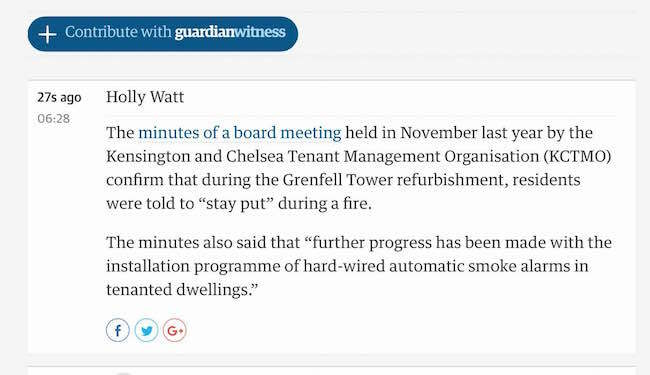 I am sure , that when the “plastic” cladding was first installed, owners were beaming with pride and satisfaction. From a real estate perspective, this is a classic case of “putting lipstick on a pig”. The money would have been much better spent on a sprinkler system. The “stay in place” directive for the building is a result of fear regarding trampling during panic. That is a valid concern as Britain has had many instances of trampling deaths at both public events and in one case in history dozens of children perished while trying to evacuate an auditorium. Building safety should be the highest mandate and all measures enforced directly under the Fire Chief. Politics and how “nice” a building looks, should not be considered. As in the case in the recent Oakland Ca. fire, the managers are culpable.